Our baby boy Archibald (Archie) Andrew Innes was born on the 6th January 2017 with a very rare condition called Anophthalmia causing him to be born with no eyes. From the first moment, we held him in our arms our hearts poured with love at his strength, courage and resilience. 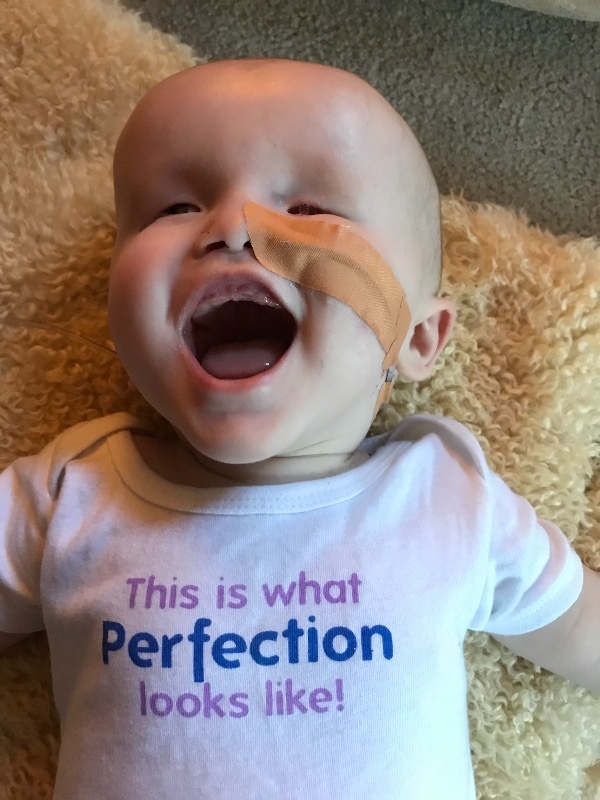 Everyone who meets Archie is instantly drawn to his gorgeous, contagious personality and beautiful smile. He is such a happy, content wee boy who people describe as having the most magical aura. His big sister Alba (3 years) absolutely adores him. I had a healthy pregnancy up to 28 weeks when a scan picked up a possible brain abnormality. After a referral to the Foetal Maternal Unit I had a Foetal MRI scan. 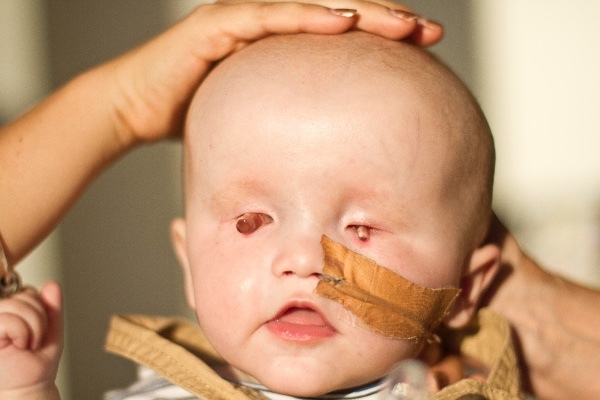 It was on this day our lives changed forever as we were given the news our beautiful baby was going to be born without any eyes. He is one of only a handful of children born in the Sydney region to be ‘black blind’ meaning he has no light perception at all.As you can imagine the last few weeks of my pregnancy we filled with anxiety trying to work out how we cope raising a blind baby. 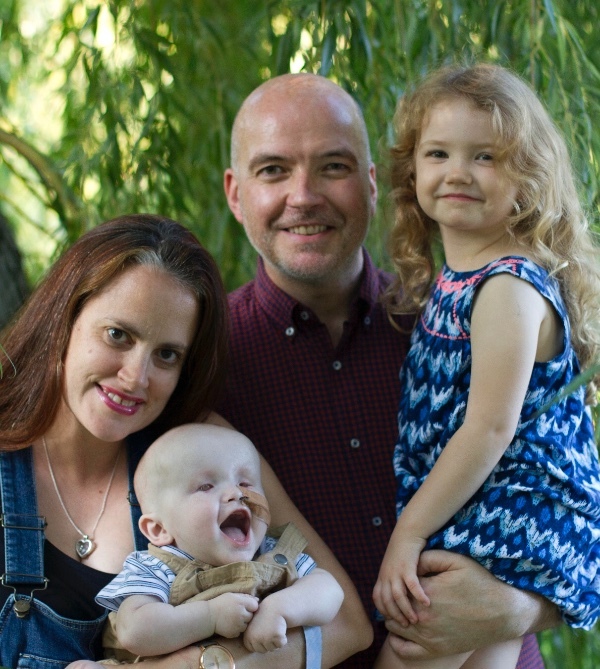 However, this was to be just the start of our worries as the extent of Archie’s health problems began to be revealed.Shortly after Archie’s birth the genetics team diagnosed Archie with Sox2 Syndrome which affects 1:250000 births. His specific mutation is so rare there is only one other recorded case in the world. It was at this point we knew our miracle man was incredibly strong to already have survived so much just to be with us. – At four weeks Archie was diagnosed with a neurosensory mild/moderate hearing loss requiring him to wear hearing aids. 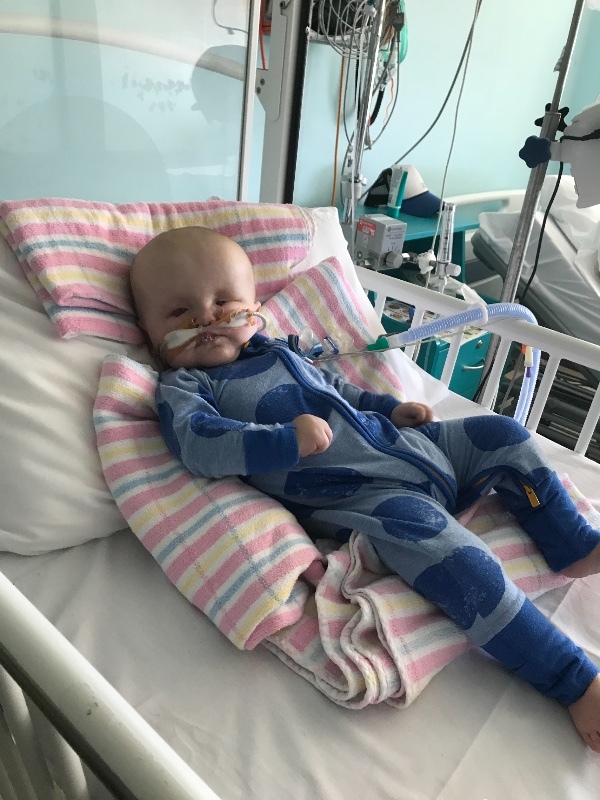 – Between 2-5 months Archie was admitted to hospital on 6 separate admissions with respiratory infections requiring high flow oxygen. – At two months Archie was placed on a Nasal Gastric tube to feed. He remains on an NG tube as he has mild/ moderate silent aspiration and has developed an oral aversion. – At four months Archie had a MRI scan to investigate the structure of his inner ears to find out if he may go deaf. Thankfully the results showed Archie has a non-progressive hearing loss. However the scan also indicated that Archie had several brain abnormalities likely to affect his development. – At nine months Archie was admitted into hospital with another respiratory infection. 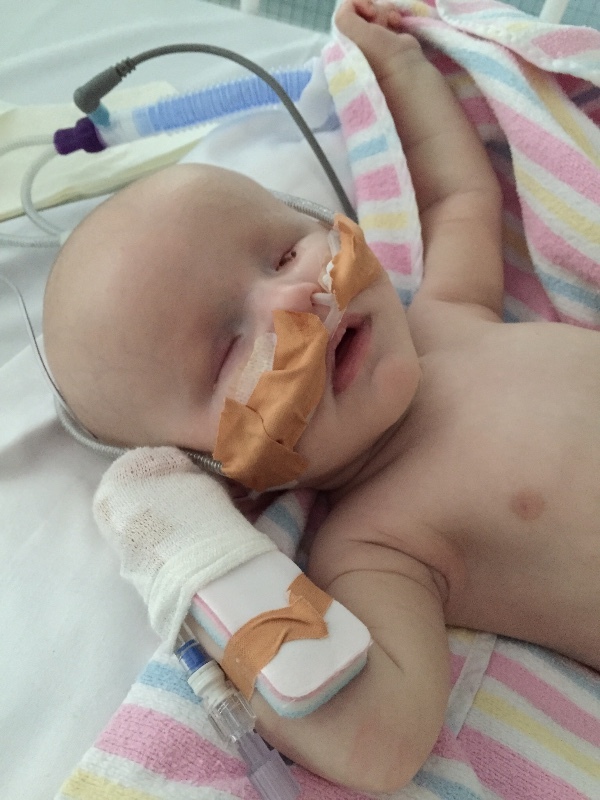 – Archie has a severe motor delay and is still struggling to lift his head up. As you can imagine with each new day comes a new battle, a new challenge to find the energy, courage and strength to organise, facilitate and manage the amount of care Archie requires and desperately needs.My days are filled with numerous medical appointments and therapy. It’s hard to prioritise all appointments he needs as well as finding time to just be a family together. It’s so overwhelming, it feels like there are just simply not enough hours in the day! 3) Eye surgery: placing a hydrogel in the smaller eye to expand orbit to for prosthetic. Making the decision to ask for financial support has been a difficult and uncomfortable decision for Stevie and myself. No one expects to find themselves in this situation when they start to prepare for the birth of their new baby. 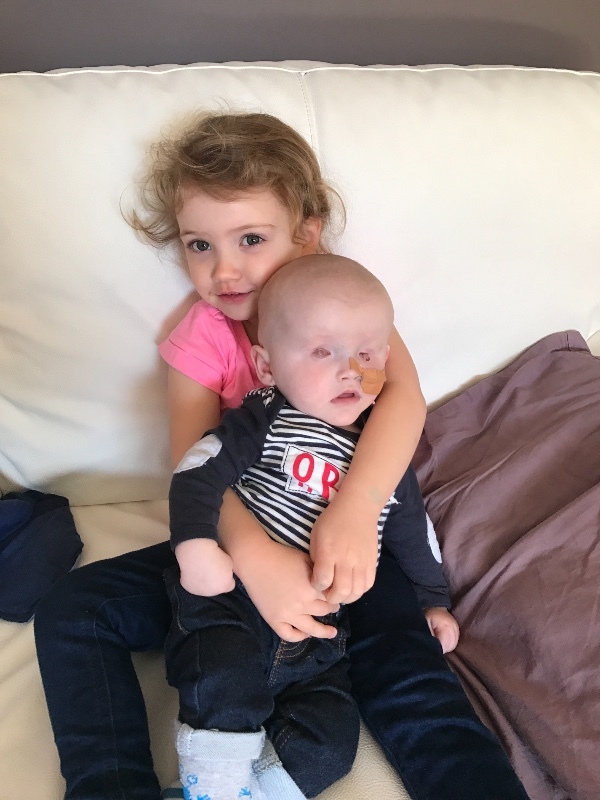 However, the reality of the situation is that unfortunately due to Archie’s complex medical needs and numerous therapies I am unable to return to full-time work. We are barely surviving on one income and are steady going into debt.We are struggling to pay Alba’s child care fees and with no family support during Archie’s regular admissions into hospital Stevie has had to also take lots of time off work to attend important medical appointments and stay in hospital during admissions, his employer has been incredibly supportive however there are limits to what help they can give. We feel extremely lucky to live in Australia where we have received such incredible health care and support from our community and many loving friends. 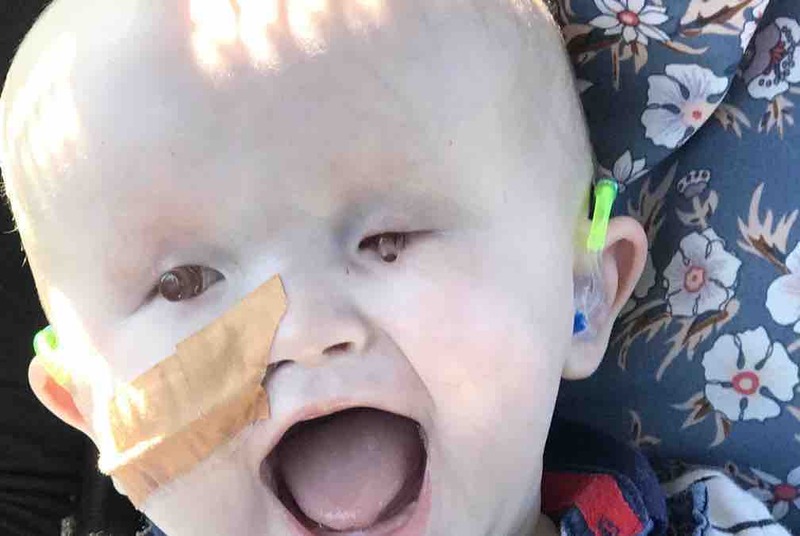 However, it isn’t enough on its own and Archie’s health and therapy takes priority over our reluctance to ask for your support.We really want to provide him with as much early intervention as possible to give his brain the chance to develop to the best of its ability and to learn new pathways. This requires him to have regular very specialised therapy associated to his visual impairment. It is likely to take many months/years for Archie to reach his full potential and with each milestone will be a massive celebration. We really want to give our little boy the best opportunity to become independent and reach his full potential. It is extremely overwhelming thinking of a goal to aim for as we simply don’t know the level of care Archie will need over the years but absolutely anything would make a massive difference. If you are willing to help our family through this difficult time we would be more grateful than words could possibly express. – Additional intensive therapy, physiotherapy, speech therapy, music therapy, hydrotherapy above what NDIS funding provides.- Medical and specialist physical equipment (medication, gtube equipment, specialist food, specialist standing frame, corner chair, specialist walker). – Specialised sensory toys to encourage and stimulate Archie to move to become curious about the world which surrounds him. – Assisted technology to assist with Archie’s visual and hearing impairment. – Attend the ICAN conference in America in July 2019. This will give us the opportunity to meet the geneticist who discovered Archie’s syndrome. 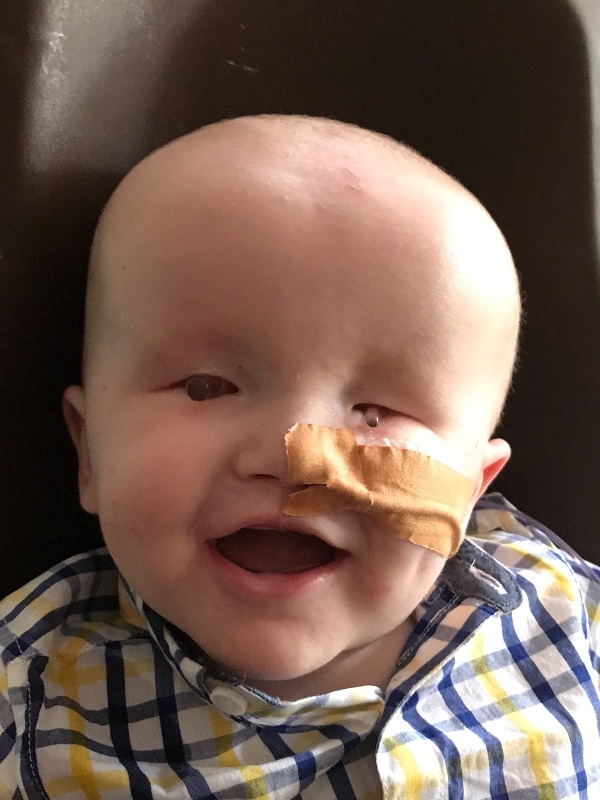 Talk to the top eye specialists about advances in medicine and technology which may help Archie gain some vision in the future and help with future eye surgeries. – Contribute to petrol costs and car parking fee for the numerous hospital appointments. – Have a cake stall and donate any money raised to the Guide Dogs, Vision Australia or RIDBC. – Register with the app “Be my eyes” on your mobile phone. This provides support for a visually impaired person to call a sighted person to ask for support. They use the camera on their phone like their eyes. – Make a meal for a family you know who might be struggling.- Send a text, buy a coffee, give a hug, have a conversation, visit a friend in hospital. It’s these small acts of kindness in the most difficult times are always remembered and appreciated. – Set up an advocacy service at all the foetal maternity units/maternity units across Australia so any parents who have give birth to a child with visual impairment know where to access specialist support immediately. – Provide training and strategies for nurses/paediatricians about how to communicate with babies and children with a visual impairment. – Provide hospitals with a bag of specialist sensory toys/an iPad with suitable games for the visually impaired. I have learnt more in the last nine months from my miracle man than I have in my lifetime. I now live each day to fullest and appreciate everything. I have learnt to live in the present and am trying to focus living day to day as you never know what is around the corner. One thing we know for sure is that Archie in his short nine months has already changed the lives of all the people who surround him. If you would like to follow Archie’s fabulous progress we have a dedicated Facebook page called Archie’s Incredible Journey. Thanks for taking your time to read about our miracle man. We appreciate all your support and thank you in advance for any help at all you feel able to give. They say it takes a village to bring up a child and for Archie this is most definitely true.